Last week we talked about my undying love for Captain America. If you followed my pattern, please share a picture of your completed doll here or on last week’s post. I’d love to see all the little Steve Rogers running around! This week will be something a little more sinister, everyone’s favorite Marvel villain, Loki. 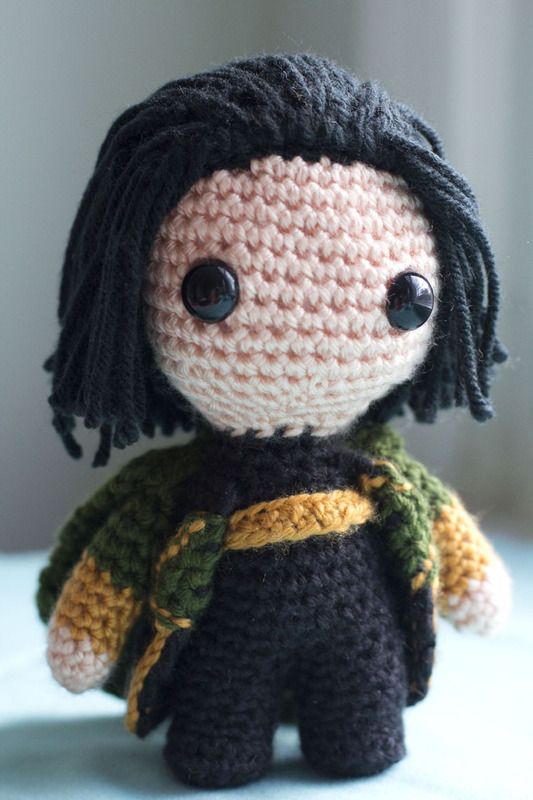 The Avengers movie seemed to make Loki and/or Tom Hiddleston very popular. I always loved Loki for his mischievous ways. He’s not totally a villain since he does occasionally care for people, but he can never really be “good”. Also how about that Norse mythology story where he was a female horse for a while, got impregnated, and gave birth to a foal with eight legs…. Oh Loki, you crazy, crazy dude. Speaking of shapeshifting Loki, I recently watched the second Thor movie for the first time. I know, I know, I’m super late to the Thor 2 game. Just FYI, it’s annoyingly difficult to keep up with movies when you live in a country that hardly ever releases movies on time. Anyway, I really enjoyed the addition of Loki’s shapeshifting tricks with Thor. Plus a Captain America cameo never hurts! I was thinking the movies might not include that part of his character, what with all the fangirls Loki has acquired. And with the teaser at the end of the movie, it looks like shapeshifting will be a bigger part of Loki’s role in the future. Though, it’s probably safe to assume that he won’t be a horse long enough to give birth in any of the upcoming movies. 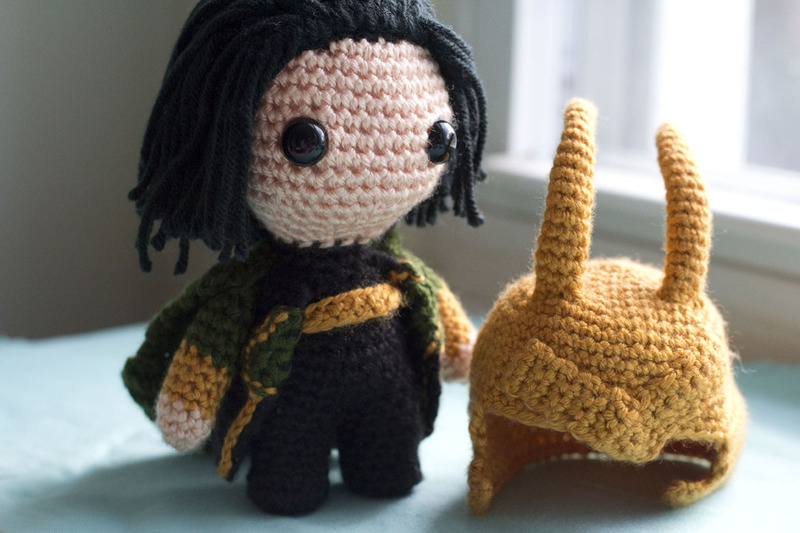 If you too have a soft spot for the God of Mischief, please follow my pattern for making your own! He has a lot of little parts and it can take a while to get them all done, but it’s totally worth it in the end. His helmet is probably the most difficult element, since you need to be able to pick up stitches for the horns. Making this pattern was a learning-by-doing project for me, since I had never picked up stitches before. After practicing a few times with scraps of yarn, I felt more confident about picking up stitches on his actual helmet. If you feel picking up stitches is out of your range, I assure you he’s just as cute without the helmet! 25 May	This entry was published on May 25, 2014 at 21:10. 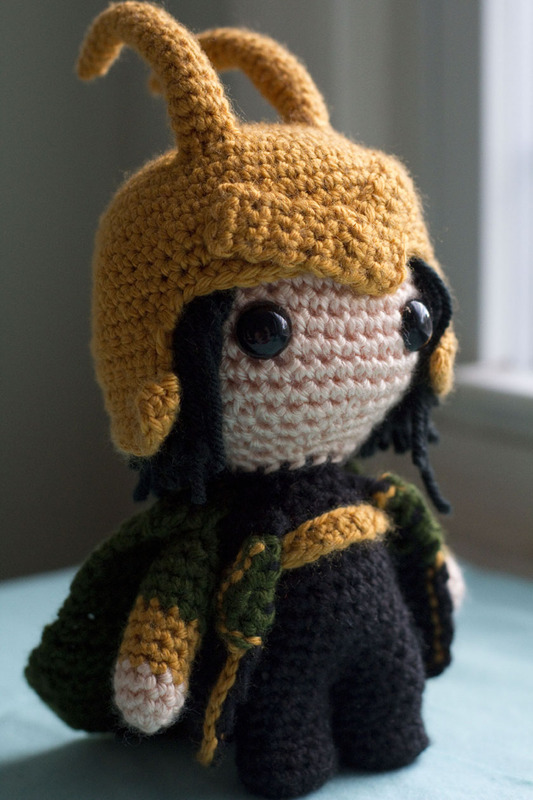 It’s filed under Amigurumi and tagged amigurumi, crochet, doll, free, fuwafuwastudio, loki, marvel, pattern, the avengers. Bookmark the permalink. Follow any comments here with the RSS feed for this post. Can’t wait to see your square shield pattern, sounds exciting!